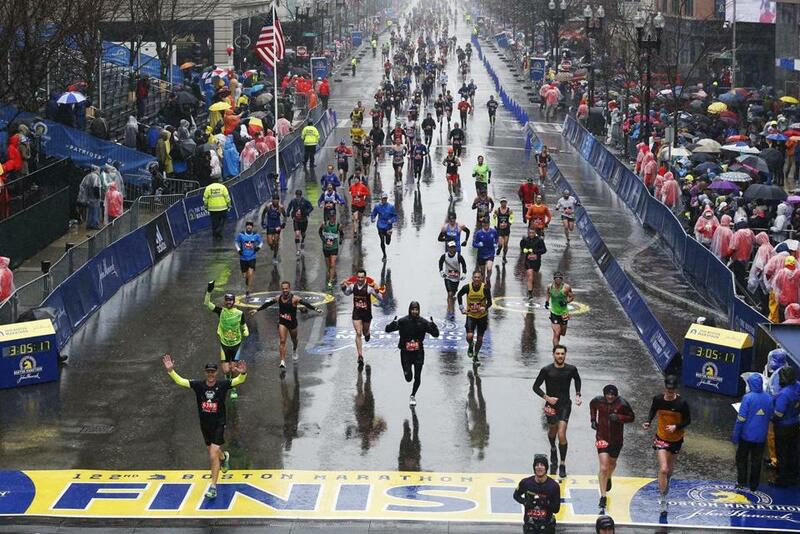 Runners cross the finish line of the 122nd Boston Marathon in 2018. Everyone wants to have fun on Marathon Monday. But ahead of the 123rd Boston Marathon — the first Marathon with a recreational marijuana shop in walking distance of the race course — let’s do a quick review of the basics for using marijuana products safely and legally. Marijuana use in public is not allowed. So if you plan to partake Monday, make sure you do so inside. Smoking on MBTA vehicles or at MBTA stations is not allowed, so keep your joints and vapes tucked away. Failure to follow this rule could result in a ticket or a fine. This might seem like a given, but if you’re hanging out with your college-aged friends on Marathon Monday, don’t start handing out your marijuana products. As with all marijuana use, the best way to have a good time is to use the products responsibly. If you don’t know how a certain product will affect you, don’t take too much — and maybe just save the experimentation for another day.